The Waterstones Children's Gift of the Year 2018. 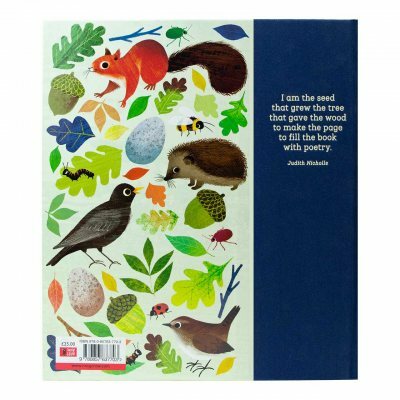 A true celebration of the natural world told through 365 poems selected by Fiona Waters and exquisitely illustrated by Frann Preston-Gannon. 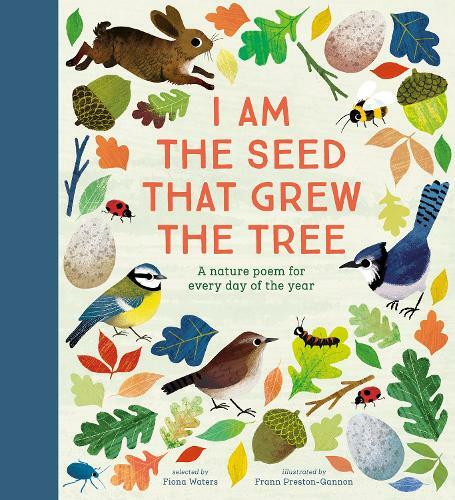 A dazzling, soaring compendium of illustration and verse, I Am the Seed That Grew the Tree presents a poem for every day of the year – including those that leap. Capturing themes of the natural world, this sumptuous volume gathers together an exciting sweep of names, including works from Ted Hughes, William Carlos Williams, Emily Brontë, Carol Ann Duffy, John Updike, Grace Nichols and William Blake. 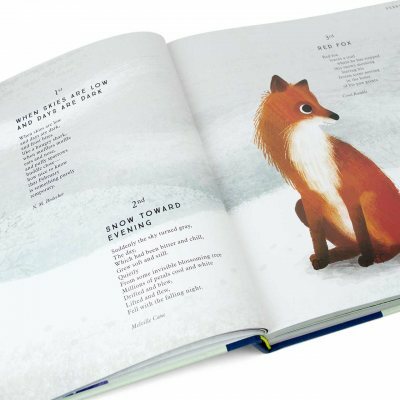 From ice-dusted birch trees on a January night to an autumn glimpse of a hawk in flight, this landmark anthology sings with the power of language to capture the magic of our changing world. These thoughtful poems have been gathered from all around the world, and specifically chosen to suit each individual day of the year. The selections were curated by Fiona Waters, a passionate champion of children’s literature. Waters has worked with children’s books all her life as a bookseller, publisher, author and reviewer, and won the CLPE Poetry Prize in 2005. 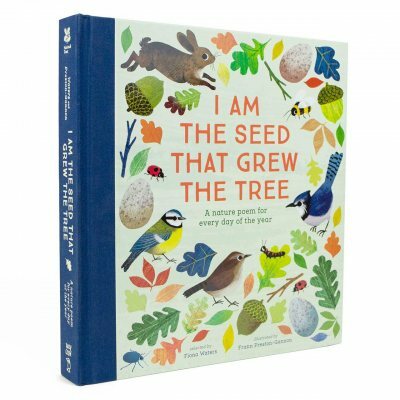 In collecting the poems for I Am the Seed, Fiona and the publisher Nosy Crow have maintained regional spellings and usage, in order to preserve the integrity of the originals. 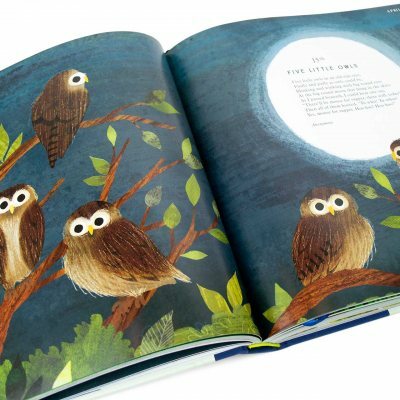 The captivating and playful illustrations are provided by Frann Preston-Gannon, who was previously shortlisted for the Waterstones Children’s Book Prize in 2013 for The Journey Home. She has brought life and imagination to every page, enough to make children and adults alike stop in their tracks. A breath-taking compendium of words and pictures that beg to be read and cherished, this a book that will be at the top of many of our own bookseller’s Christmas lists. A British author and illustrator, Frann Preston-Gannon’s first solo work, The Journey Home, was shortlisted for the Waterstones Children’s Book Prize in 2013. 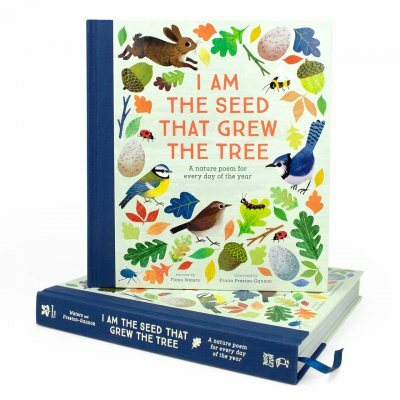 Her other work as an illustrator includes Sloth Slept On, Dave’s Rock, Dinosaur Farm and 2018’s I Am the Seed That Grew the Tree: A Nature Poem For Every Day Of The Year. This is exactly what it says, a poem for each day. 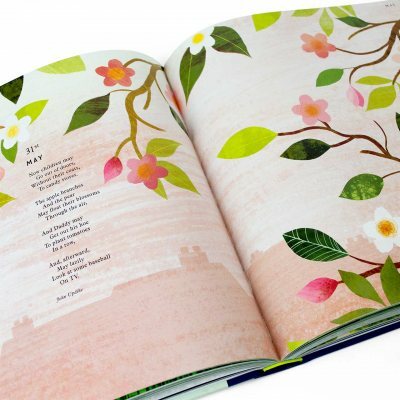 It’s bound beautifully and has lovely illustrations that will enthrall adults and children alike in the world around them.